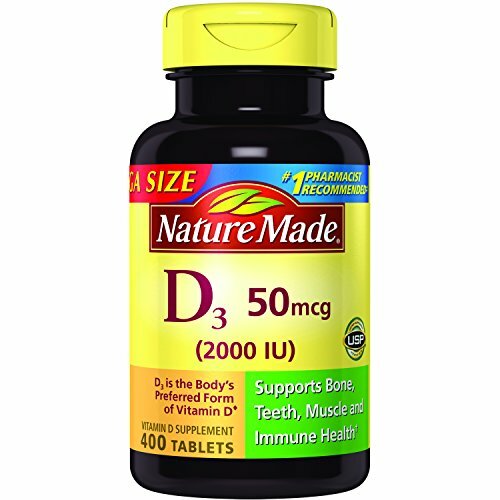 Nature Made® Vitamin D3 2000 IU (50 mcg) tablets are made of vitamin D3, the body’s preferred form of Vitamin D. Vitamin D 2000 IU supports teeth, bone and health. Maintaining healthy levels of vitamin D in your body has been shown to be an important part of your overall health. Nature Made Vitamin D3 2000 IU Tablet is guaranteed to meet our high quality standards - it is made from carefully selected ingredients under strict manufacturing processes.